Yes, he was an hairy man. Next week's kind of a departure. 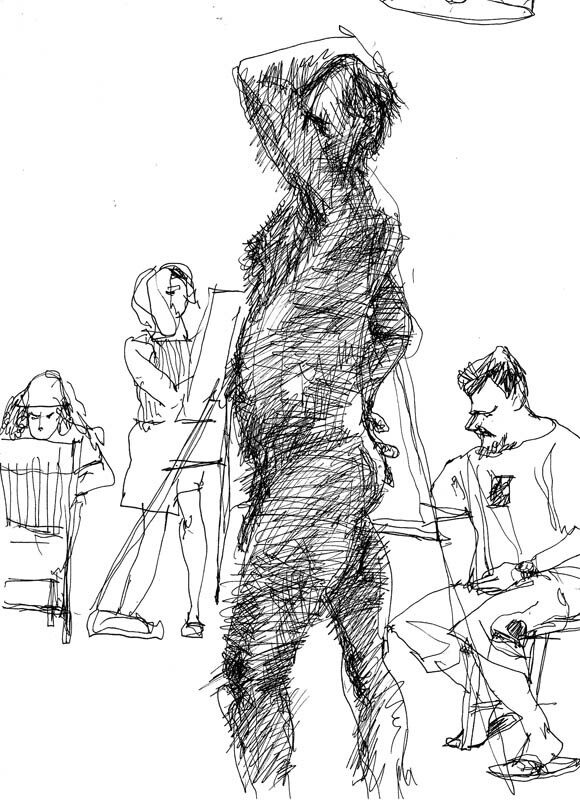 The model holds a pose for 3 hours while the rest of us gather around a table drinking wine and eating stale Cheesie Pieces, eventually staggering around and tripping over easels, smashing student artwork, throwing up, grinding paint into the floor, that kind of thing. Whether any art gets done is beside the point. You could think of the entire session as a work of art. After which we stumble out onto the mean streets and get the crap beaten out of us.